Ben joined K2 Castings as Partner in 2009. In his role, he’s responsible for developing K2 Castings’ supplier networks in Europe, Asia, India and Middle East. He also consults with shredding companies regarding yard design and machine installation as well as wear parts sales. Ben has over 40 years of scrap metal industry experience, including brokerage of ferrous and non-ferrous commodities in domestic and Asian markets. In addition, he’s held roles as General Manager for regional and national shredding companies, including Sims Metal Management, Western Metals Recycling, Metal Management West, and Commercial Metal Company. 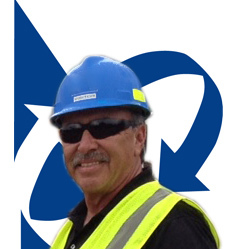 At each location, he oversaw all aspects of shredding and scrap operations. Ben began his career with Reynolds Metals Company as a driver and worked his way up the ranks to become Area Business Manager.